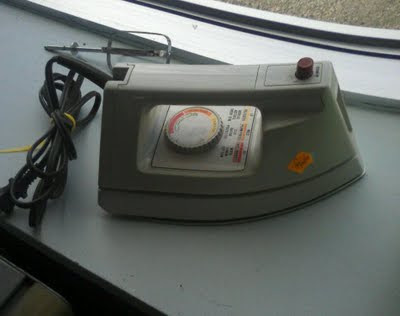 Things Your Grandmother Knew: Ladies & Gentlemen, Start Your Irons! Ladies & Gentlemen, Start Your Irons! When Do You Add The Salt? You do remember what an iron is, right? With today's wrinkle-free fabrics, home dry-cleaning kits, and wrinkled fashions, heck, you might not even own one... See if that heavy triangular thing is doing duty as a doorstop, or hiding in the closet somewhere, and get it plugged in to see if it works; because not only is ironing coming back, kids, but in today's economy patching clothing with iron-on appliques (mighty handy, especially if you can't sew) and other DIY projects are making the use of irons virtually mandatory. 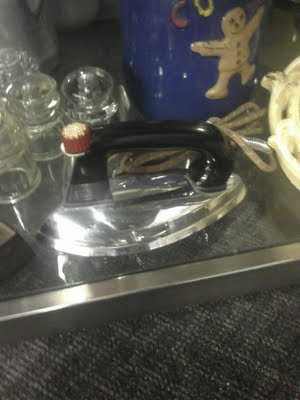 If you don't have an iron, or don't want to risk your iron's potential ruin by using it for craft projects, check for irons at your local thrift shop. 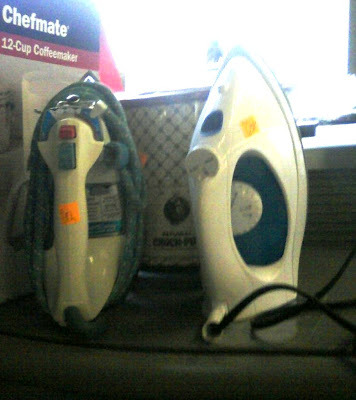 Retro and even nearly-new steam irons -- in working order -- can be purchased at thrift shops from between $3 and $19, as compared to $20 to $70 for new irons. 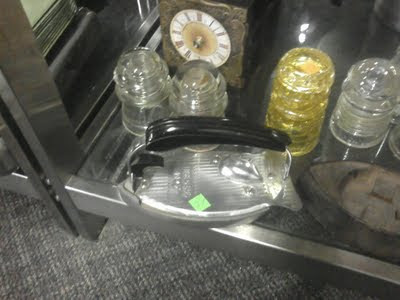 Thrift shops may also have vintage and antique irons available. These will usually be more expensive, but when your projects call for more muscle, these old ones offer much more weight -- the vintage steam models are quite heavy when compared to modern makes designs to literally make light work of ironing. Most antique irons are basically like bricks your set in the fire, they can come in handy for gluing projects. Lightweight vintage irons seem to vary in price widely (here anyway), but I know a few fans of them who refuse any other type of irons. They swear that sans steam these vintage irons work better than any steam iron, are especially wonderful for ironing out wrinkled vintage sewing patterns, and that the shape better suits the shaping of vintage clothing. You can also find used irons expensively priced at rummage sales & estate sales, but note that many of these irons have not been used or even checked in years whereas thrift shops test them and only put working appliances out for sale. Since used irons are rather plentiful, I never bother with irons with bad, missing or frayed cords; unless your iron belonged to grandma or otherwise has sentimental value, it's not worth investing in a repair.